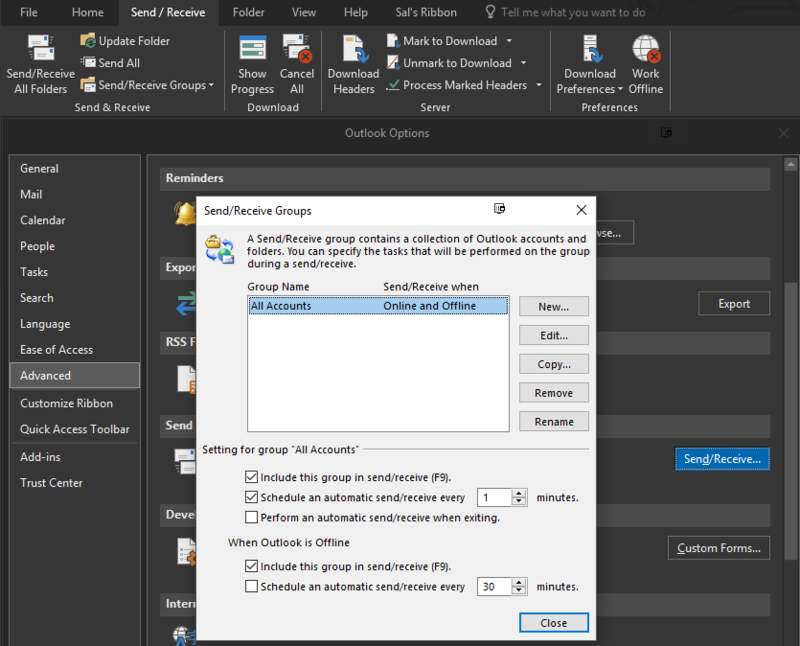 The following article is a quick and short article explaining how to adjust the Outlook setting to allow the Outlook Application to automajically update/check your Exchange Inbox for new emails without having to constantly hit Send/Receive or Update Folders. While the Outlook application is opened. Click Send and Recieve button. Under the Setting for Group “All Accounts”, check the box that says Schedule an Automatic Send/Recieve Every x Minutes. Ill let you make the call on how often you want the application to update the folder.